"A journalist's insider look at a country caught still in political and social unrest, years after the genocide that shocked the world." ...a superb exposé of a dictatorship as he [Sundaram] observes how the tentacles of totalitarianism squeeze the life from a society ... Bad News is an important book that should shatter any lingering faith people might hold in Kagame’s hideous regime. 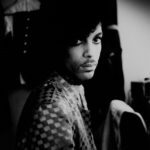 “Bad News is a searing illustration of the dangers associated with newsgathering in an authoritarian state, and a paean to those courageous enough to practice it in such dire circumstances. Sundaram is thorough, even when the news is bad ... But he leaves little space for self-reflection, and readers may wonder if Sundaram himself fears for his life, as his students stop attending his class, go into hiding or are arrested. In writing this book Sundaram surely put himself at risk, and it is a testament to his bravery that he did so without drawing undue attention to its personal cost. 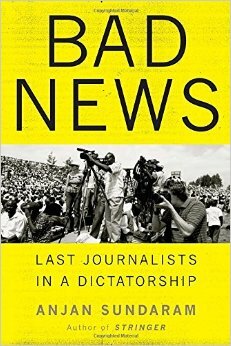 What did you think of Bad News: Last Journalists in a Dictatorship?